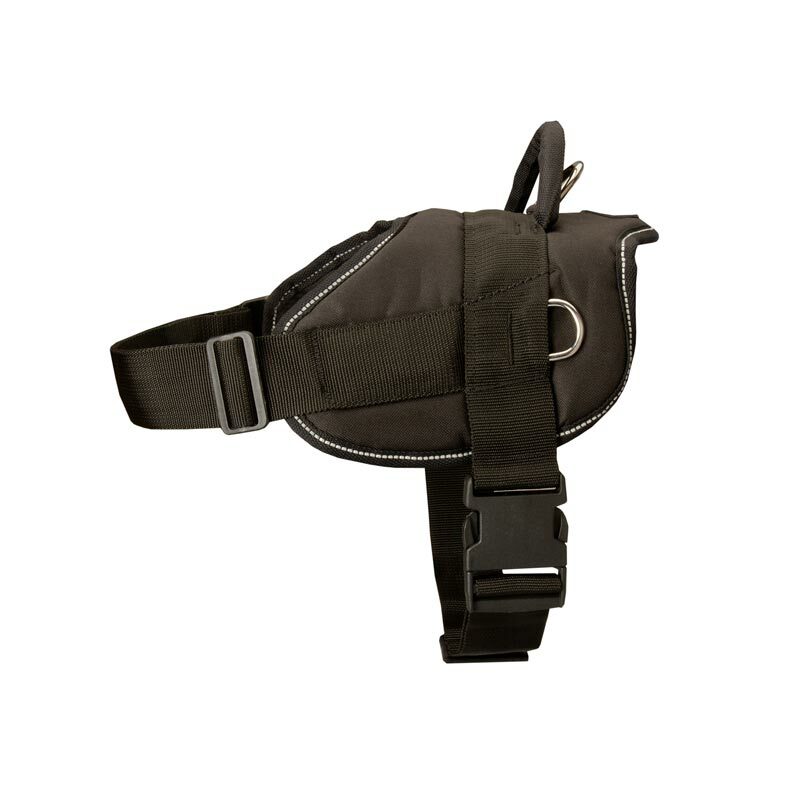 Everyday dog walking, vet visits and training will be more comfortable and pleasant with this Dog Harness. 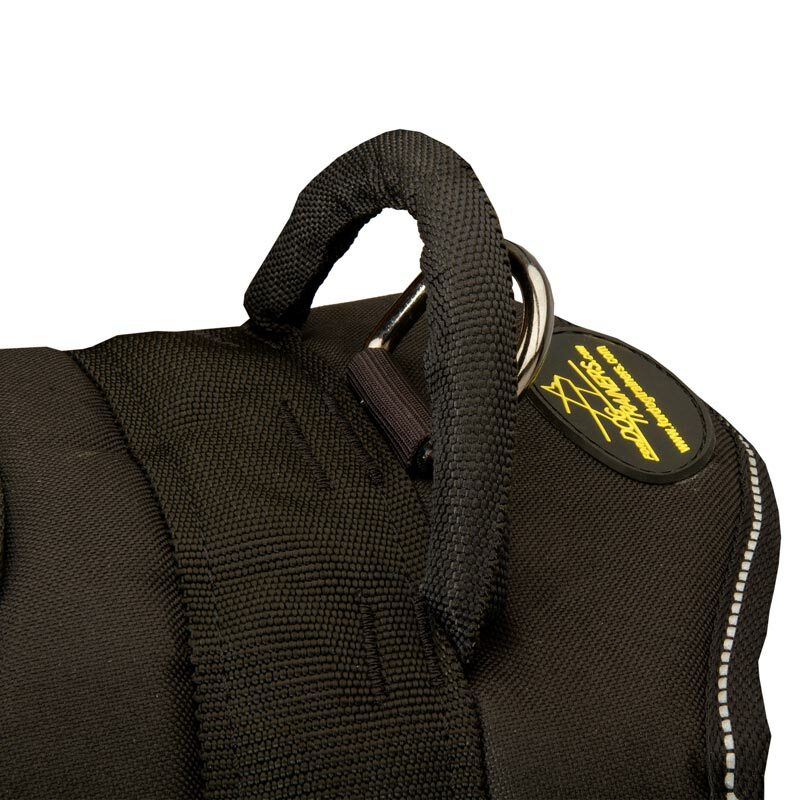 It is extra strong, durable, non-stretching and water resistant. 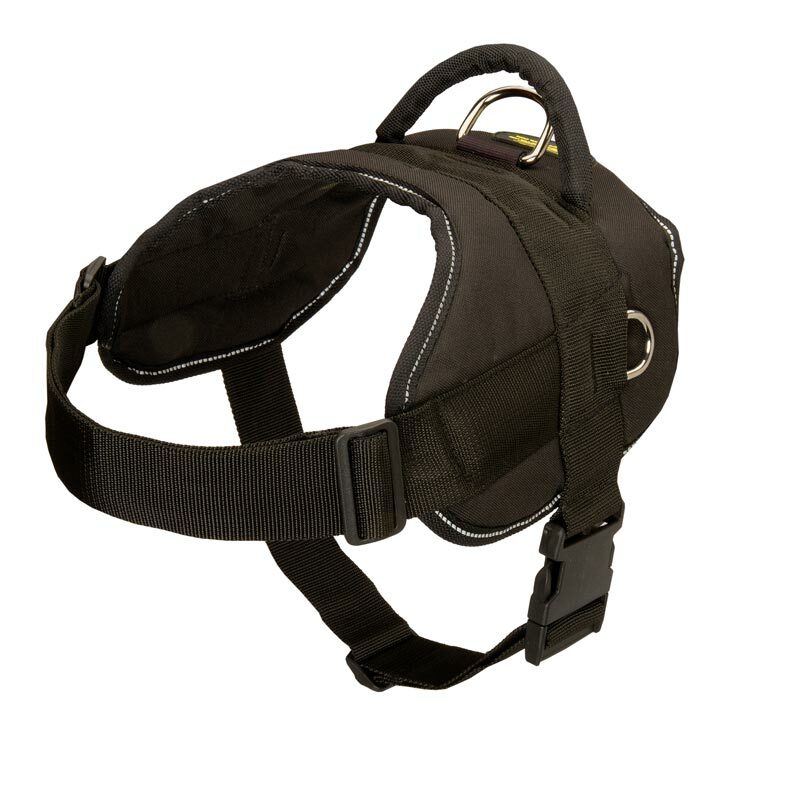 Special nylon handle will help you to control your Rottweiler better during different kinds of activities. 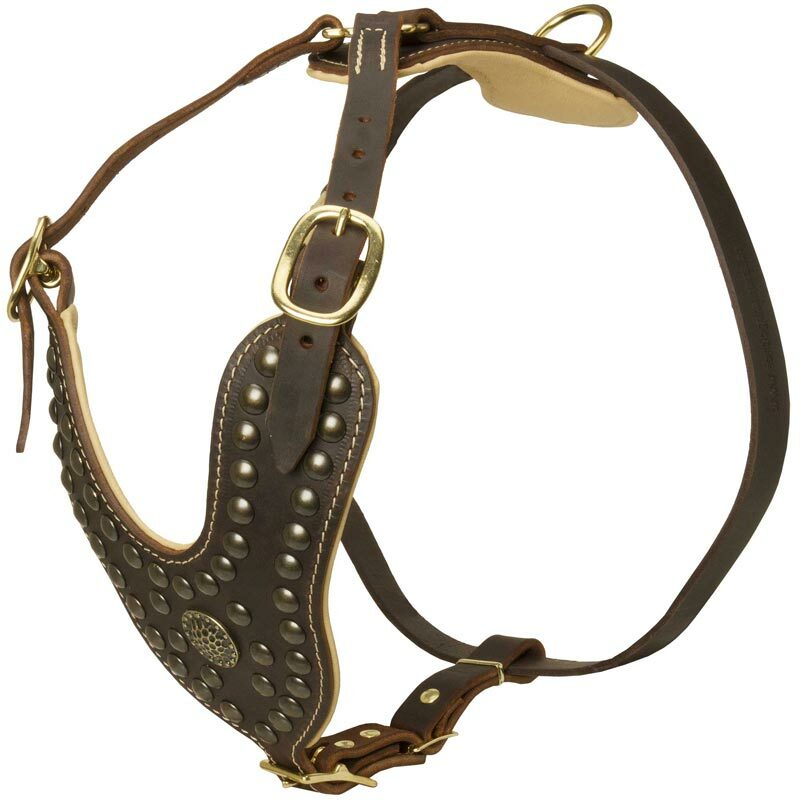 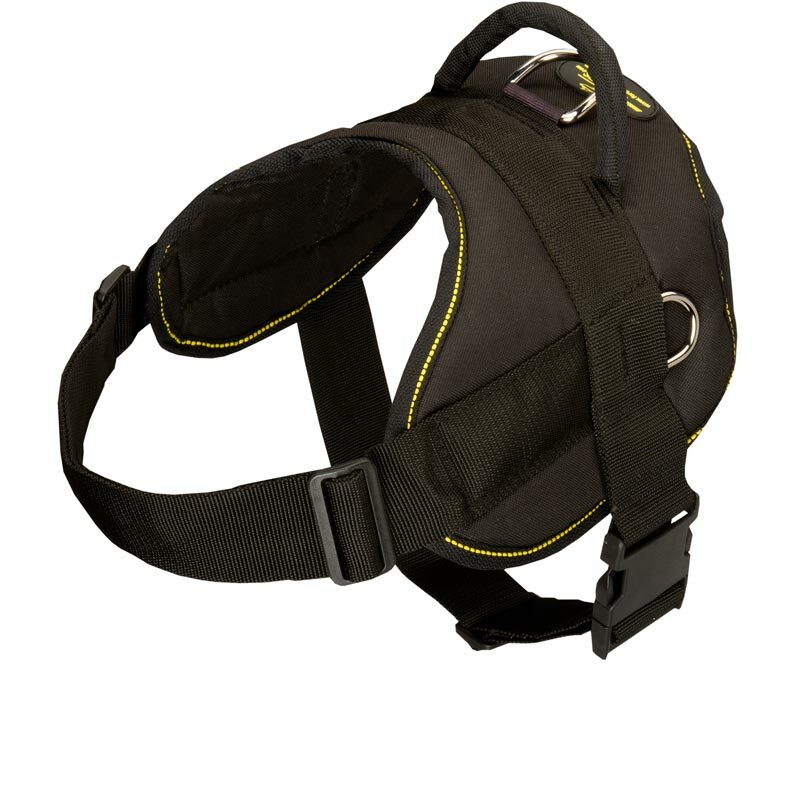 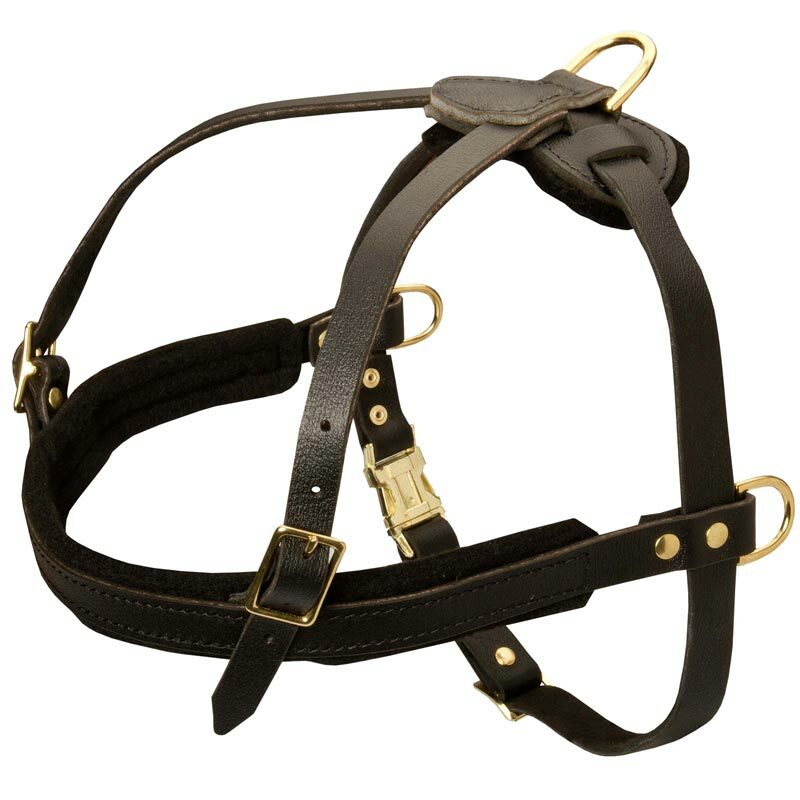 Using an easy quick release buckle you will easily adjust this Nylon Dog Harness in a few seconds. 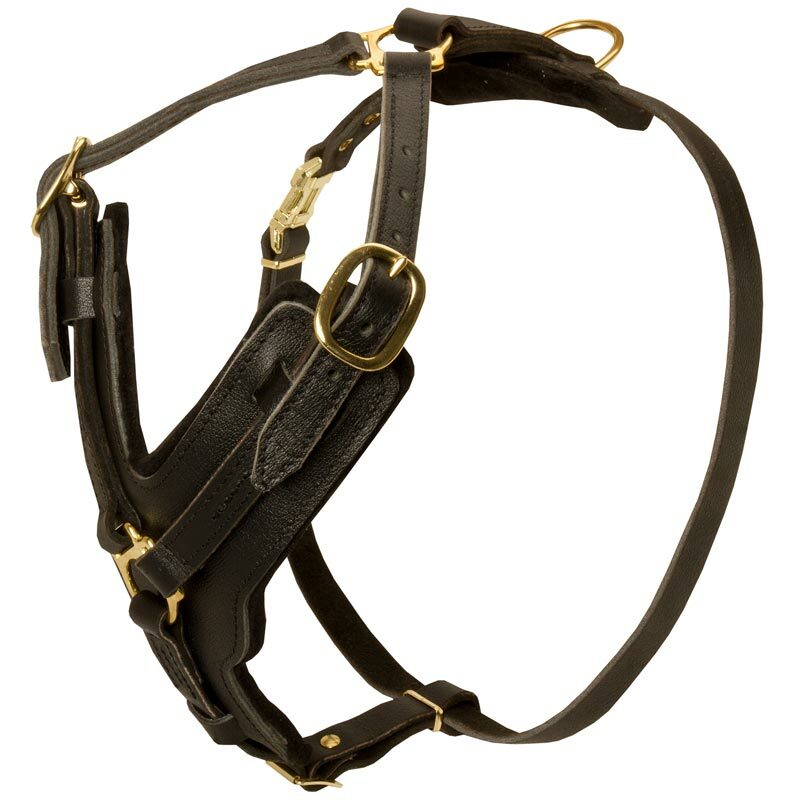 It is very popular among dog owners and professional trainers, because it is perfect for tracking, training or just walking around neighborhood. 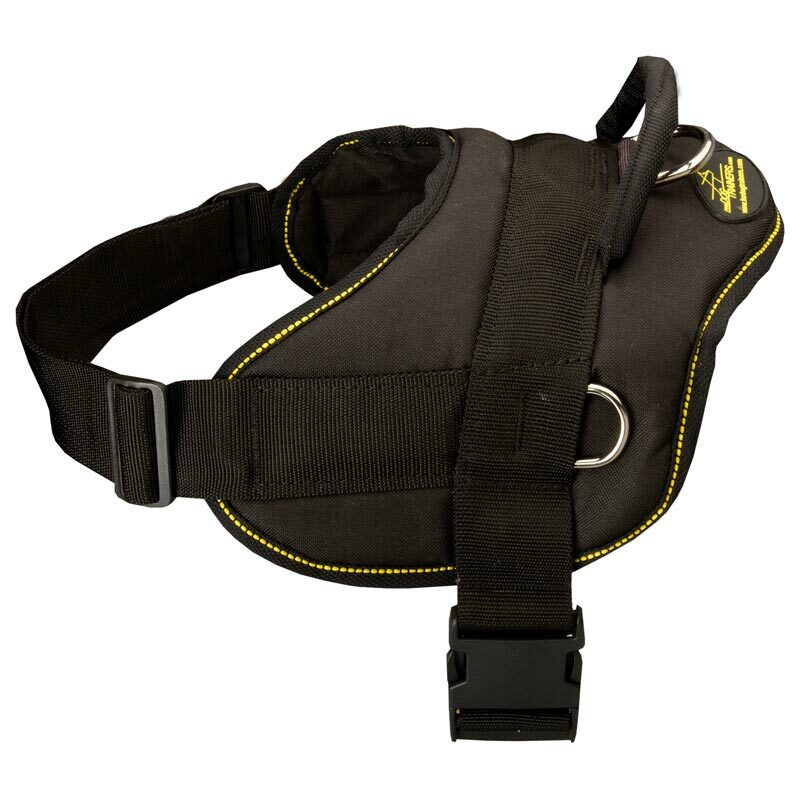 Thanks to the additional D-rings stitched at the both sides of this Harness you can attach a cargo to it and to involve your Rottweiler in pulling training.